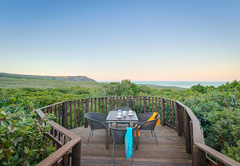 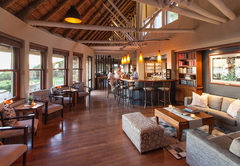 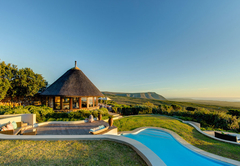 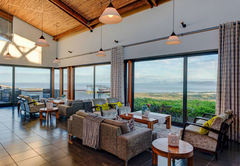 Grootbos Private Nature Reserve is a Western Cape game lodge providing a wildlife experience for tourists visiting Cape Overberg. 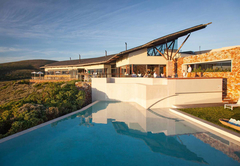 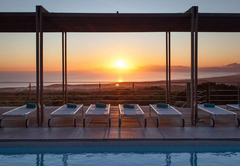 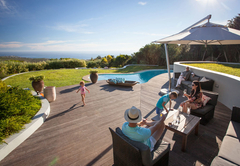 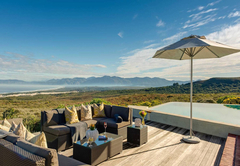 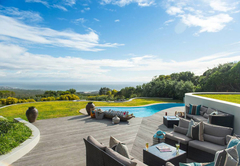 Grootbos is a 5 star private nature reserve that celebrates the wonders of the dramatic landscape of South Africa. 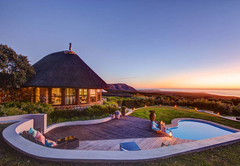 Exclusive and secluded, guests experience a world that is full of outrageous flora, miles of private beaches, and safe encounters with giants of the sea. 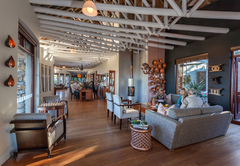 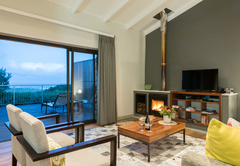 Grootbos combines contemporary style and luxury with a relaxed natural environment to make you feel both at home, and completely pampered. 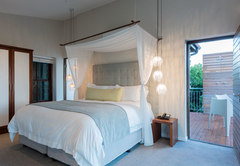 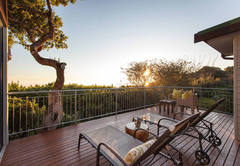 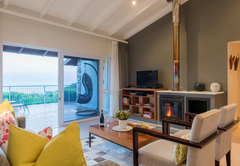 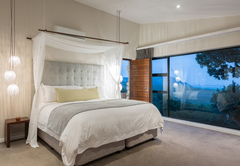 Luxury suites at Grootbos feature balconies where you can watch amazing sunsets over the Atlantic Ocean, natural textures and colors to bring the harmony of nature inside, and spacious bathrooms to complete the feeling of comfort. 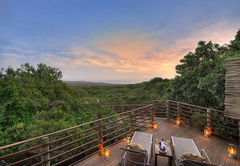 Relax in your lounge by a fire, and listen to calls of the forest birds into the night. 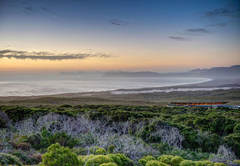 Take long walks on the deserted beaches and watch whales from the coastline, or take an unforgettable cruise to see the Great White sharks, Southern Right whales, penguins and Cape Fur seals that call this coastline home. 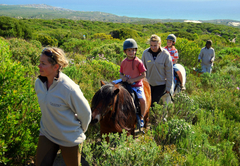 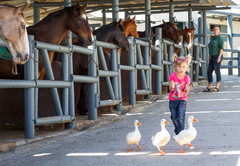 Explore the rich flora of the reserve, including ancient Milkwood forests, by foot, 4x4 or on horseback. 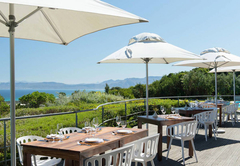 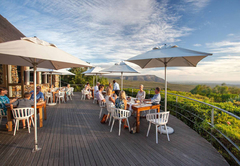 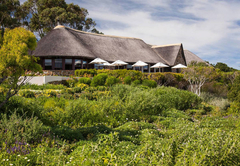 All meals are inclusive and served in the stylish restaurants with breathtaking views across Walker bay to Cape Point. 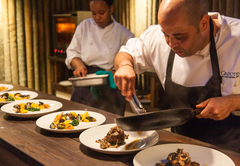 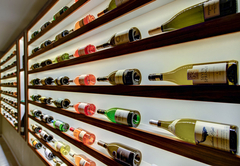 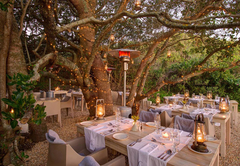 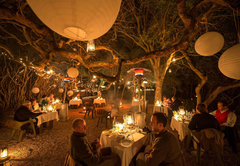 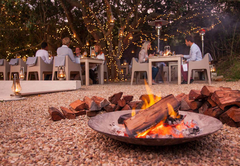 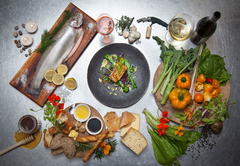 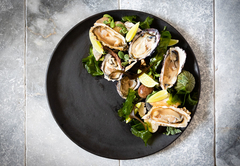 The meals are prepared using freshly caught fish, succulent meats, and vegetables grown right on the reserve accompanied by award winning South African wines. 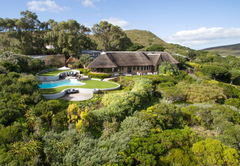 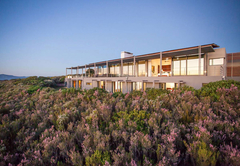 At Grootbos you will feel welcomed to a truly unique place where conservation, luxury and relaxation have found the perfect home. 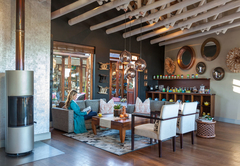 Pampering takes place in the comfort of your own suite or in our recently opened Bloom Salon. 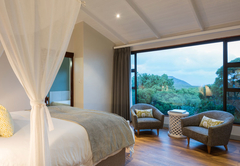 For the tired body, a therapeutic full body massage is a definite must, leaving you in a state of absolute calmness. 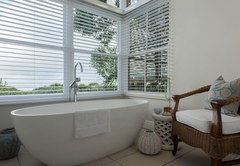 For the weary feet, reflexology, including a footbath, will most certainly do the trick. 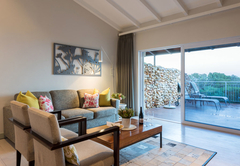 Manicures, pedicures, facials and a host of other treatments are available as well. 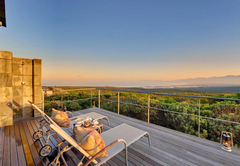 Response timeGrootbos Private Nature Reserve typically responds to requests in 5-10 minutes. 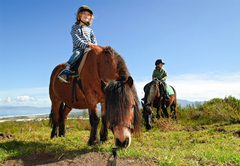 Child policyChildren of all ages are welcome. 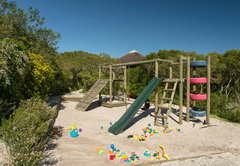 Cots and babysitting services can be provided if required.